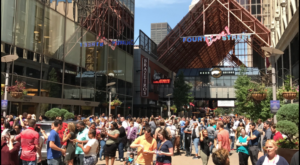 Whether you’re looking for fine dining, comfort food, or something in between, Louisville has the perfect restaurant for any occasion or craving! We don’t think this city gets the attention it deserves for our amazing culinary scene and the fantastic chefs who serve up some of the best dishes in the country. Our list of favorite restaurants is a mile long, so we’ve picked out a few stellar spots for a memorable meal. These eleven restaurants are some of the best in Louisville and every single one belongs on your Foodie Bucket List! 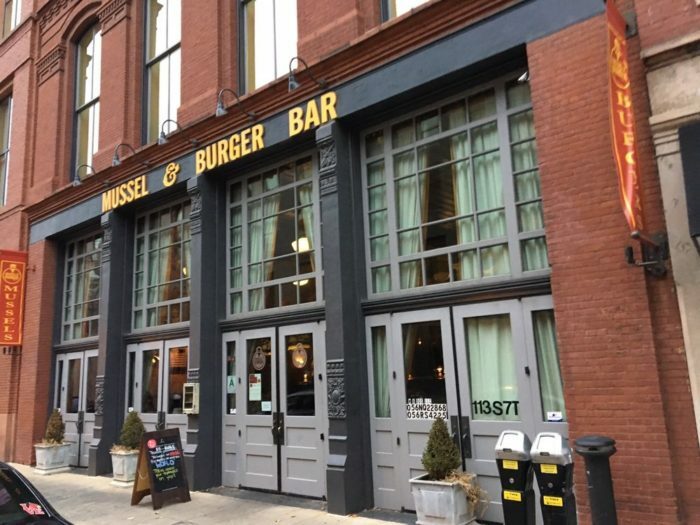 Mussel and Burger Bar hits the ultimate balance between comfort and style; it feels like your favorite neighborhood pub, but tastes like you are dining in a fancy upscale restaurant. Obviously, mussels and burgers reign supreme here, which is just another example for how this awesome spot balances between bar and bistro. There’s a whole section of the menu dedicated to dishes featuring the fresh Prince Edward Island shellfish, which can be ordered as either an appetizer or entree. 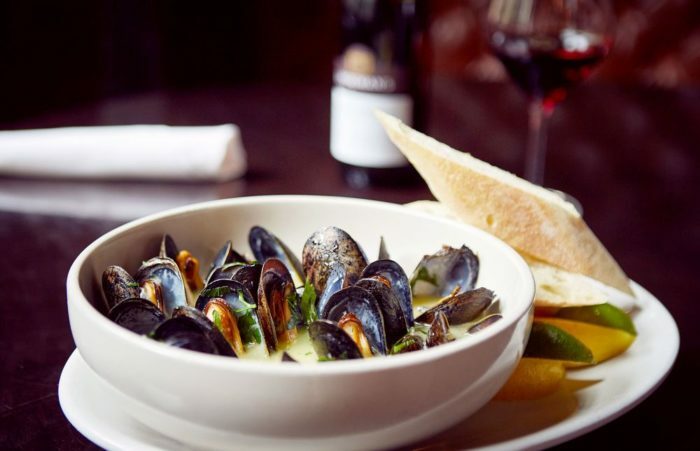 Some of the favorites are the Meuniere Mussels (a white wine butter sauce with shallots and garlic) and the Curry Cream Mussels (a lemongrass curry sauce with shallots, lemon, and chili oil). As for burgers, you have TONS of options. You can go classic with a Good Ole Bacon Burger, step it up with the C.E.O. 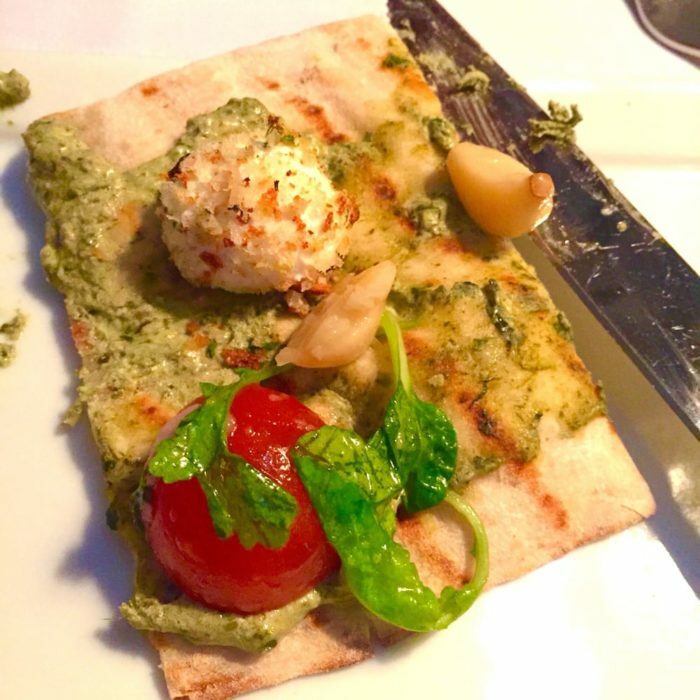 (which has gruyere, caramelized onions, arugula, roasted tomatoes, truffle aioli, and the option to add foie gras), or try something truly unique, like the Argentinian (provoleta, chorizo, caramelized onions, roasted tomatoes, and chimichurri sauce). Mussel and Burger Bar has two locations: 113 S. 7th St., Louisville, KY and 9200 Taylorsville Rd., Louisville, KY.
Jack Fry’s is legendary. It’s a Louisville icon. 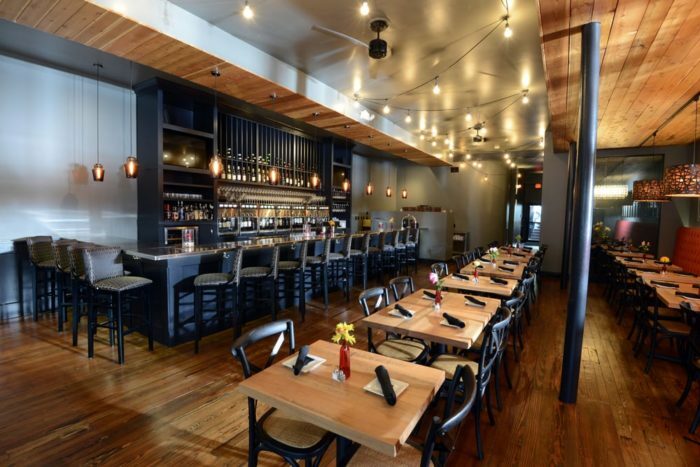 Yes, it’s an upscale spot with upscale prices, but it really does live up to the hype. 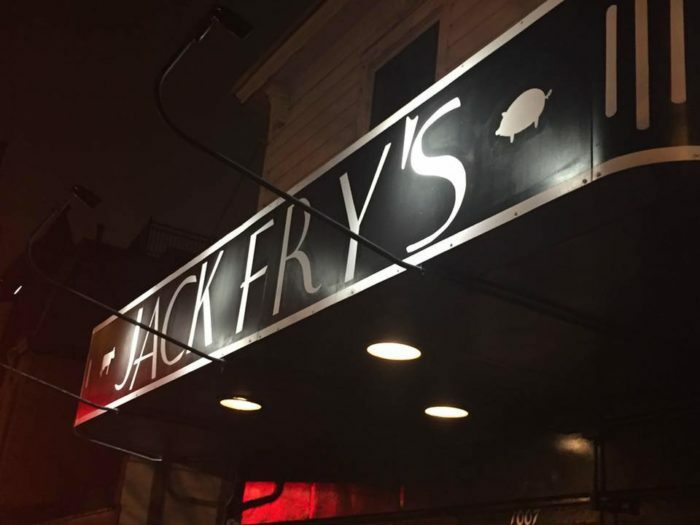 Jack Fry’s fame has spread from its constant presence on the “Best of Louisville” lists and has drawn the attention of The New York Times, Bon Appetit Magazine, and other major print and online publications. Some of the standout stars at Jack Fry’s include the excellent Shrimp and Grits appetizer, perfectly seasoned chops, and seafood dishes, but it really is hard to go wrong with anything on this menu. The atmosphere is overflowing with old school 1930s style, which is a nod to the historic roots of the restaurant. 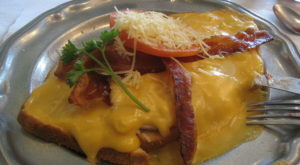 Jack Fry’s was established in 1933 by the gambler, bookie, and bootlegger who gave the restaurant its name. 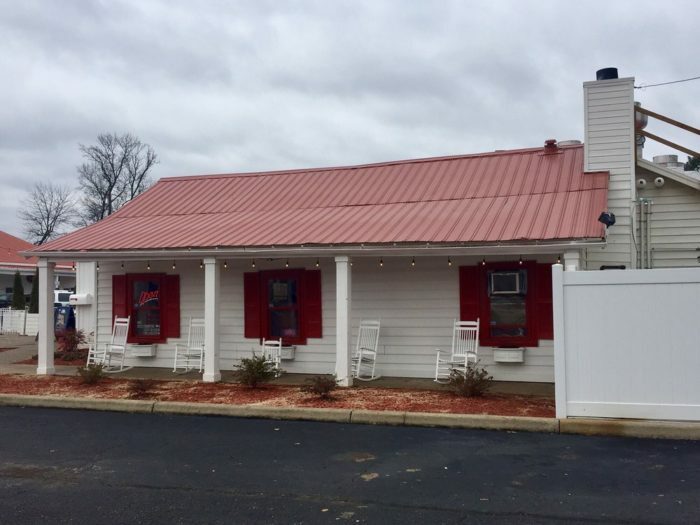 Jack Fry operated his “other business” out of a back room and, despite the somewhat-shady side jobs, was a well-liked and respected man in the community and the restaurant thrived until 1972. The building housed other restaurant occupants up until 2008, when a former employee named Stephanie Meeks returned Jack Fry’s to its former culinary glory and pulled in countless awards for nearly a decade. Jack Fry’s is located at 1007 Bardstown Rd., Louisville, KY.
Joella’s Hot Chicken is good ol’ Southern comfort food at its finest. You can’t go wrong with the famous Spicy Hot Chicken, the Garlic Parmesan Fries are what dreams are made of, and the best damn Mac & Cheese we’ve ever tasted. Believe it or not, Joella’s also has several vegetarian and vegan items, as well as a killer kale salad, all of which are just as tasty as their mind-blowing chicken dishes. 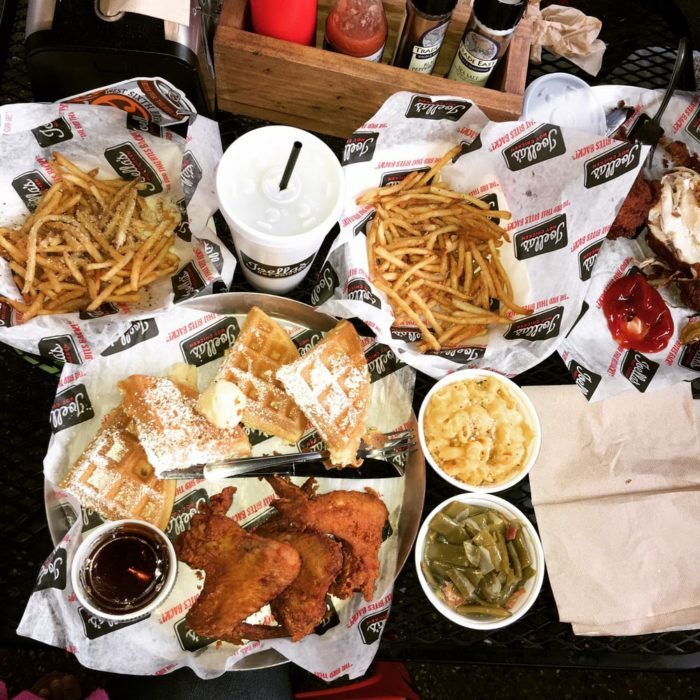 Just about everything on this perfectly seasoned, savory menu makes us happy! 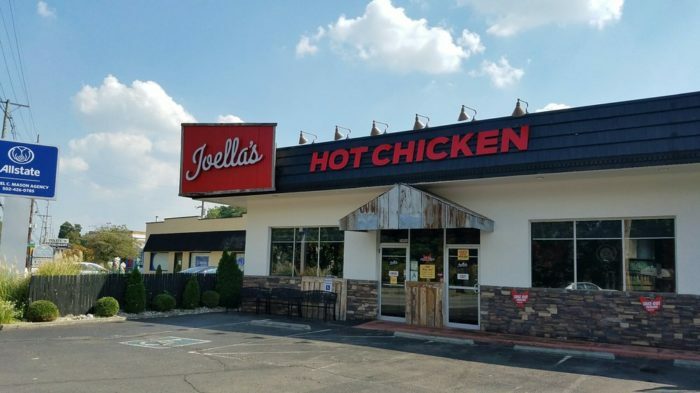 Joella’s Hot Chicken has two locations: 3400 Frankfort Ave., Louisville, KY and 13401 Shelbyville Rd., Louisville, KY. This glorious French-Spanish restaurant has a seriously impressive spread of dishes! This fine dining establishment is top-notch from appetizer to dessert. It’s hard to even pick favorites from this menu… Saffron and Orange Crab Cakes… Duck Confit… Ancho Chile Carnitas… Dry Rubbed Ribeye… oh my, we’re making ourselves hungry just thinking about it! As for their drink menu, there is only one word: WOW. La Chasse has an extensive wine list, creative cocktail menu, and tons of excellent beers on tap. You’re sure to find the perfect accompaniment to your excellent meal! 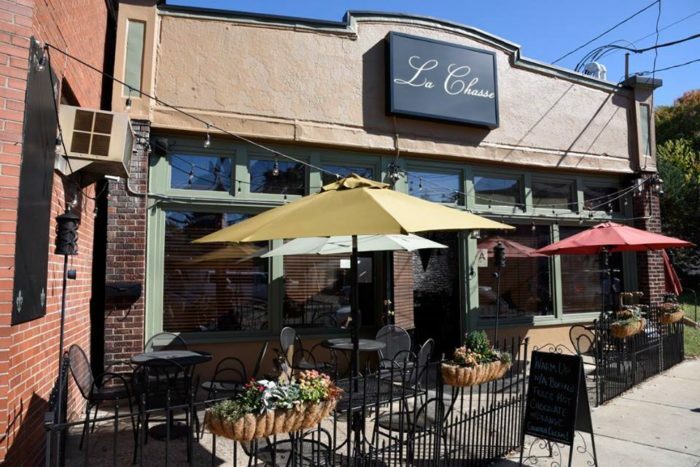 La Chasse is located at 1359 Bardstown Rd., Louisville, KY.
610 Magnolia isn’t your typical restaurant. First off, reservations are required and there are not open tables, so make sure you plan ahead. Second, there are only two options: Four Course or Six Course. These tasting meals feature a menu focused on seasonal, locally-sourced food that highlights modern Southern culinary culture and many of the ingredients used are even grown on-site at 610 Magnolia’s greenhouses! The meals are priced per person at $75 and $95, respectively. Obviously, this can be a little pricy for an ordinary meal, but these dinners are anything but ordinary. It’s the perfect spot for a fancy meal or celebration! 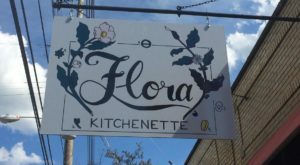 The restaurant has been recognized by several major publications, including Bon Appetit and Food & Wine Magazine, with glowing reviews of the delicious dishes served at 610 Magnolia. 610 Magnolia is located at (yep, you guessed it) 610 W. Magnolia Ave., Louisville, KY. 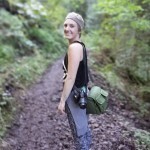 This gastropub is tons of fun! 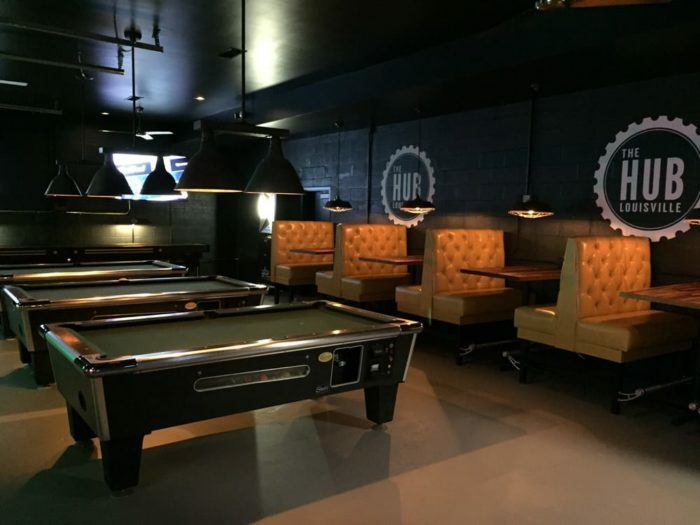 The Hub is located in the historic Frankfort neighborhood, but the atmosphere is balanced by a sleek and stylish vibe that’s as cool as the food served here. You can shoot pool while you wait for your meal and the menu offers everything from dressed up popcorn (yes, we’re serious; it’s delicious and changes daily) to awesome sliders to smoked salmon toast. 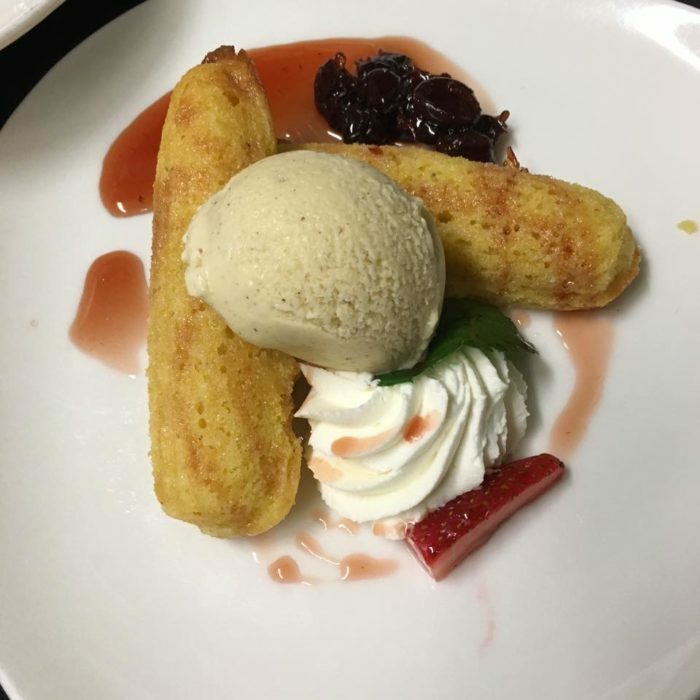 There’s something for everyone on this menu, but not matter what you order, you’ll get a dish that emphasizes comfort food in an innovative and delicious way. 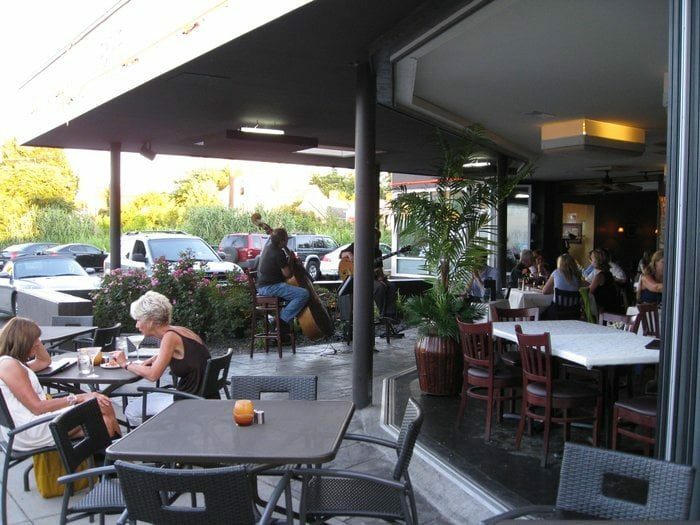 There’s also a great patio to enjoy on warmer days, a brunch menu that will make your mornings merry, and a tasty cocktail menu perfect for late nights! 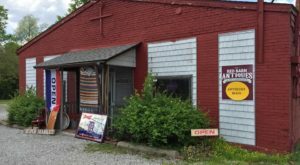 The Hub Louisville is located at 2235 Frankfort Ave., Louisville, KY. 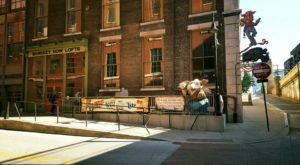 This fantastic restaurant is located inside the 21C Museum Hotel in downtown Louisville and offers some spectacular meals made from fresh, locally-sourced ingredients that definitely add something special to their dishes. Proof on Main’s menu is packed with delicious options, from juicy bison burgers to charred octopus (don’t be afraid to try it - it’s delicious! 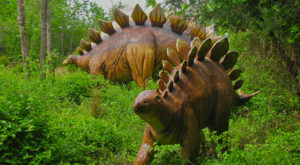 ), and they have some excellent appetizers and salads to get you started (or if you are just looking for a small plate). 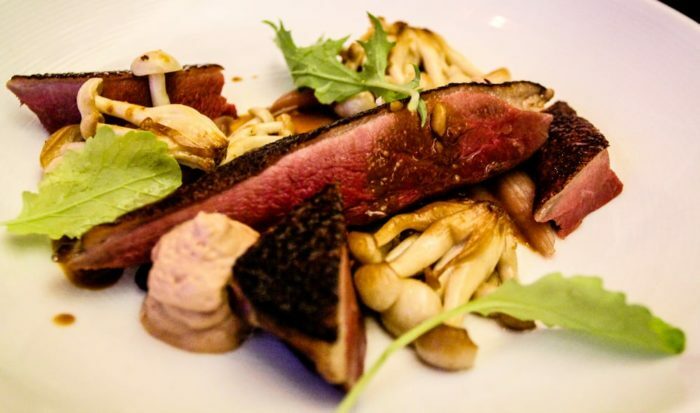 Proof on Main certainly isn't a secret - it was named on Food & Wine Magazine's "America's 50 Most Amazing Wine Experiences" and celebrated as an "American Whiskey Temple" by GQ Magazine - so you’ll definitely want to make reservations before you go. They have an impressive cocktail list that features several different small-batch bourbon distilleries from across the state! 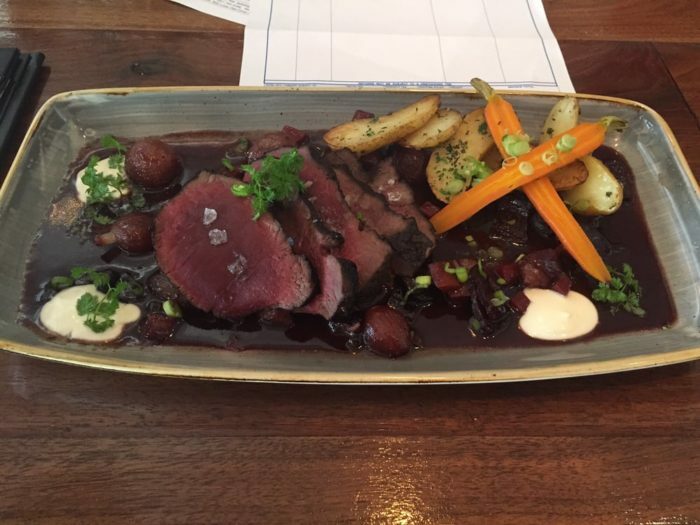 It isn’t just the food that is awesome at Proof on Main… the atmosphere is seriously one-of-a-kind. The walls of the restaurant are adorned with an amazing collection of contemporary and modern art that is curated by 21C Museum (which you definitely need to check out while you’re there) and leaves you gazing in wonder at the beautiful masterpieces that surround you while you dine. It’s an upscale spot and it’s on the spendy side, but remember: you pay for what you get, and at Proof on Main, you are getting excellent quality. 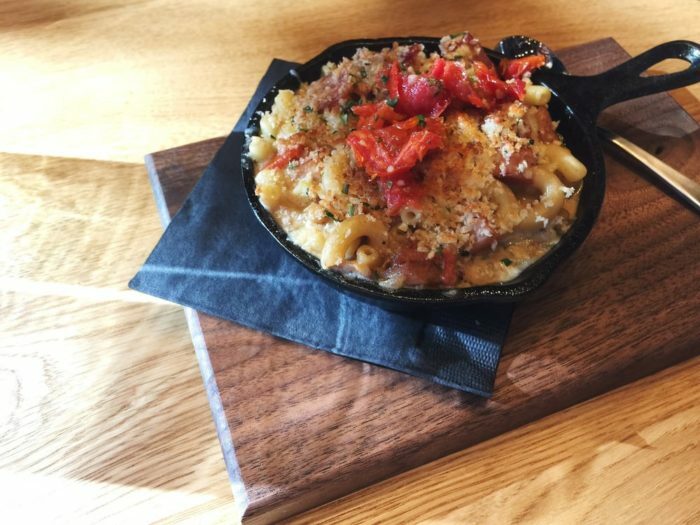 Proof on Main is located at 702 West Main St., Louisville, KY.
Everything about Red Barn Kitchen just makes it feel like home. From the rustic decor and reclaimed wood bar to the long community table running down the center with rolls of paper towels for napkins, a meal here feels like a family barbeque... that is, if your family makes the best darn barbeque in the world. 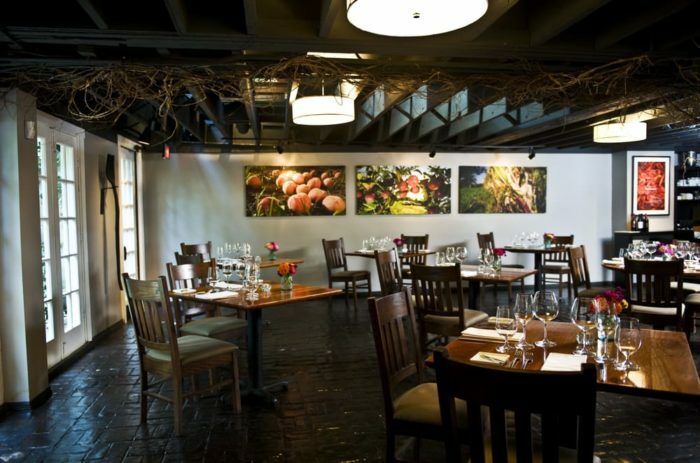 Everything at Red Barn Kitchen is made from scratch and their dishes are as authentic and traditional as can be. 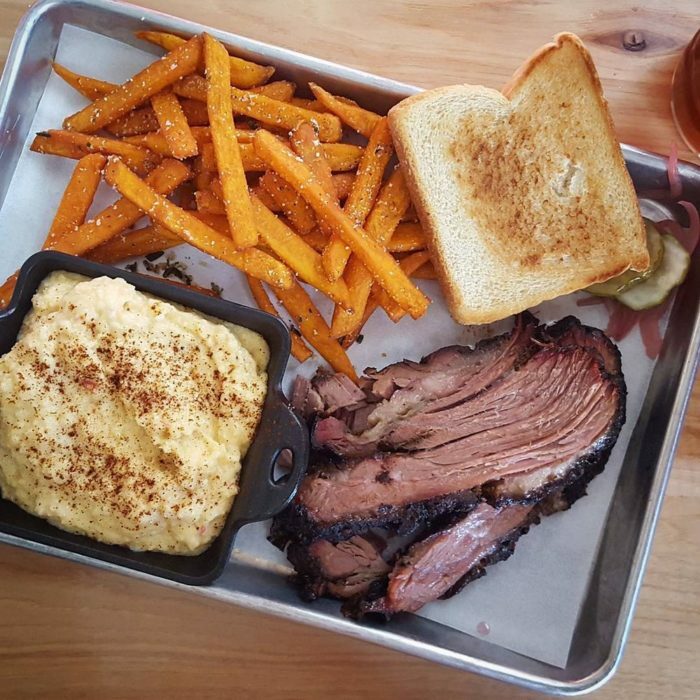 The meats are smoked daily and the brisket is absolutely phenomenal! They have five different (epic) sauces to slather all over your meal and both the parmesan fries and sweet potato fries will blow your mind. It might not look like much from the outside, but there are some incredibly tasty surprises inside! 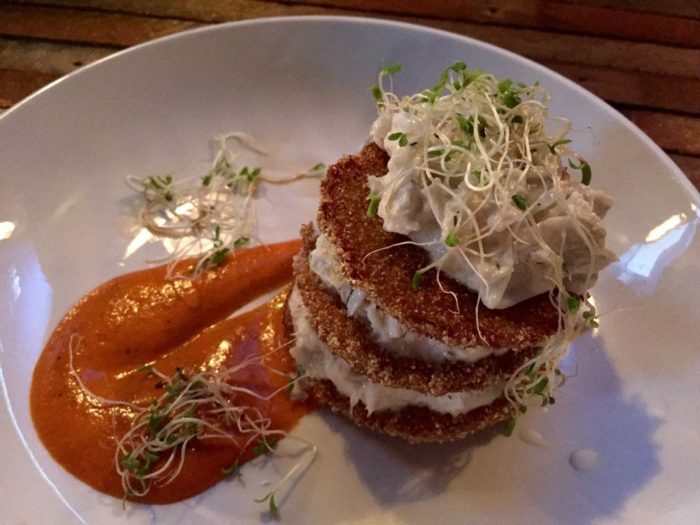 Red Barn Kitchen is located at 8131 New Lagrange Rd., Louisville, KY.
Yelp / Elise Dixie Jane M.
With one heck of a wine list and a wide variety of small plates on the menu, LouVino is one of those spots that works its way into your regular restaurant rotation almost instantly. They offer more than 70 different wines by the glass (or you can order a wine flight if you can’t choose just one), as well as beer on tap, fun cocktails, and plenty of Kentucky bourbon. It’s impossible to eat just one of the Duck Fat Frites - they’re dangerously delicious! The Loaded Tots and Pretzel Bites are perfect when you need a snack, but you can totally go upscale with the Bacon Wrapped Dates, Risotto, or Crab & Lobster Cakes if you are feeling a bit fancy. The Warm Brussels Sprouts Salad will completely change your view of these far-too-often villainized veggies. And then there’s dessert… the Bourbon Chocolate Beignets are to die for. 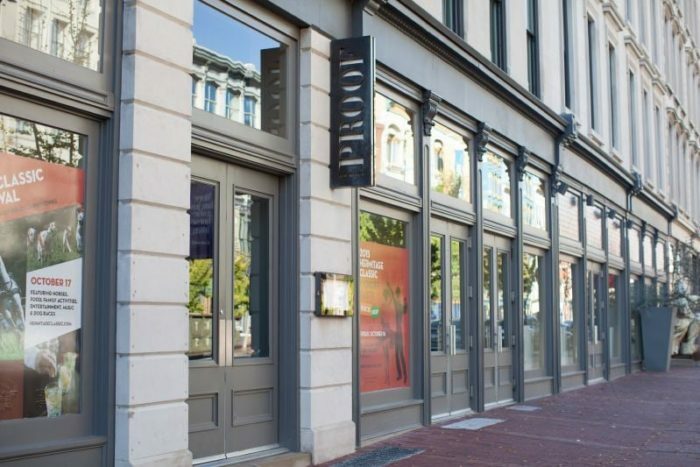 Louvino has two locations: 11400 Main St., Louisville, KY and 1606 Bardstown Rd., Louisville, KY. 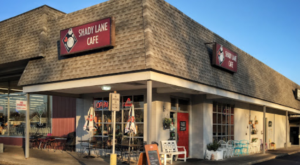 This lovely little farm-to-table restaurant in Bardstown has been serving up classic, delicious Louisville favorites since 1988, so you know that they’ve had plenty of time to perfect their recipes! 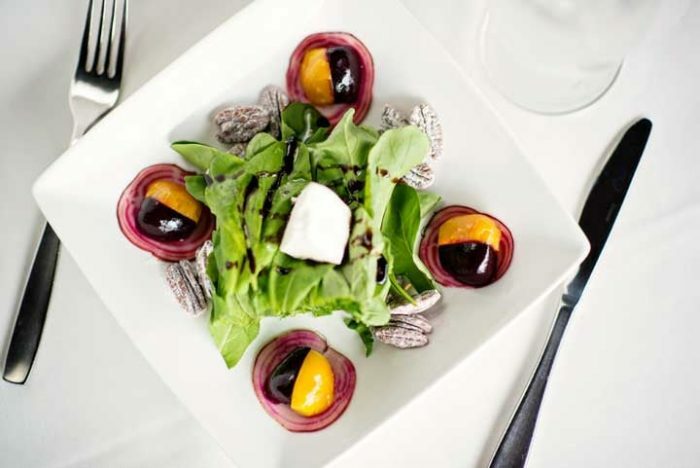 Lilly’s Bistro entered the locavore movement way before it was trendy and definitely paved the way for other chefs in this city (and across the country) to bring the focus back around to fresh, locally sourced food that supported the farmers and producers in their community. 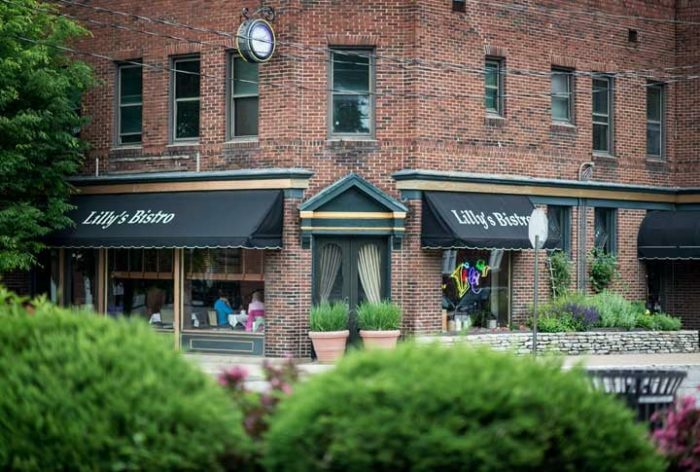 Lilly’s Bistro has gathered up more than a few stellar reviews over the years, but just this last year, Chef Kathy Cary received a nod (her seventh!) from the James Beard Foundation with a nomination in the "Best Chef: Southeast" category! 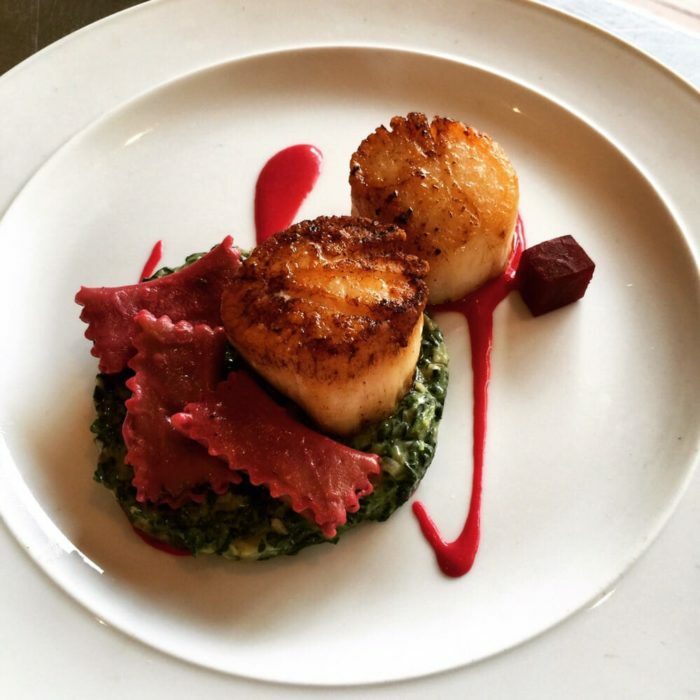 Lilly’s Bistro is located at 1147 Bardstown Rd., Louisville, KY.
Picture this: you’re staring down a piping hot plate of lobster ravioli, tasty cocktail in hand, live jazz music playing in the background, there’s a waterfall flowing down a wall nearby… this is Varanese. It really is that idyllic. First of all, the menu is fantastic. There’s a little bit of everything on here and the chefs focus on bringing fun modern spins on classic dishes and fusing flavors to create a dining experience you won’t soon forget! There are excellent appetizers and small plates to get you started (try the Pulled Pork & Sweet Potato Biscuit), followed up by some out-of-this-world entrees (the Bourbon Barrel Smoked Pork Chop is a specialty), and topped off with a decadent dessert (the Chocolate Lava Cake is to die for). All-in-all, the experience at Varanese is fantastic and will certainly have you coming back to taste more! Varanese is located at 2106 Frankfort Ave., Louisville, KY. The list of fantastic restaurants in Louisville is almost endless, so those featured here are just a handful of highlights among a delicious sea of options. 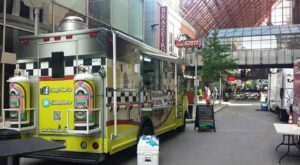 Some are iconic Louisville legends, while others are relatively new to this city’s food scene, but all will give you an incredible dining experience that everyone in Louisville should have at least once in a lifetime!